And on the third day, I fell in love. Arriving in Prague from Vienna was not what I expected. 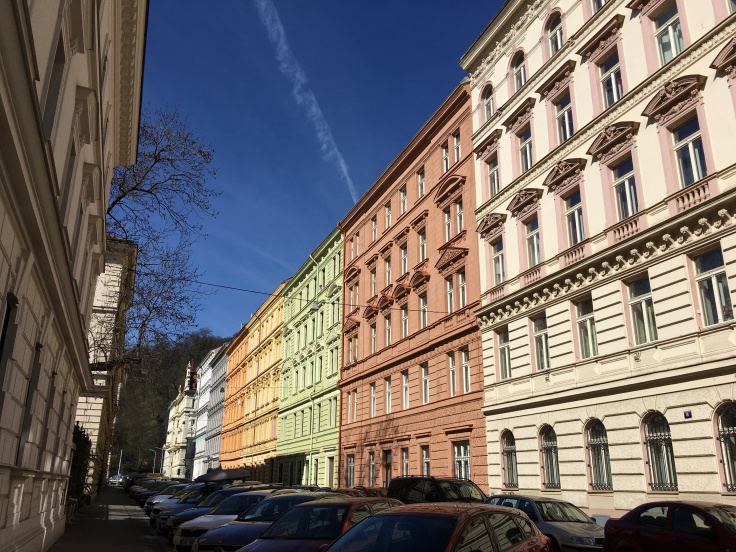 I was underwhelmed, I didn't immediately love the city as I did with Vienna. I was tired, over it and wanted to go home. That was the first night I needed a holiday from my holiday. I arrived at Sophie’s Hostel, which when arriving I was sceptical about, only to enter my room and have my jaw drop. It was a beauty! No bunks, giant wooden floor room, kitchen and a clean, immaculate bathroom. And amazing WiFi. After walking around Old Town Square, although very beautiful with historic structures, I got sick of the amount of tourists, so I got into bed. Watched a TV show and went to sleep. First best sleep in a while! No girls snoring! Day 2, rested, I enjoyed the city, immediately. The fact that it was apparently the first sunny day in Prague in almost two weeks, made it even better! The sun was shining, it was chilly, but it was perfect. The Sandemans Free Prague walking tour was fantastic, I didn't know anything about Prague, literally nothing, and Jirk "Big J" provided the right amount of history and jokes to learn to love a city that has been through so much. A city that lost its native connection after the German invasion and had to rebuild it back to what it is today. Getting lost through side streets, seeing ancient history and an amazing castle awakened the wandering traveler again. Parliament building shot was needed, not as majestic as Vienna, but still impressive. 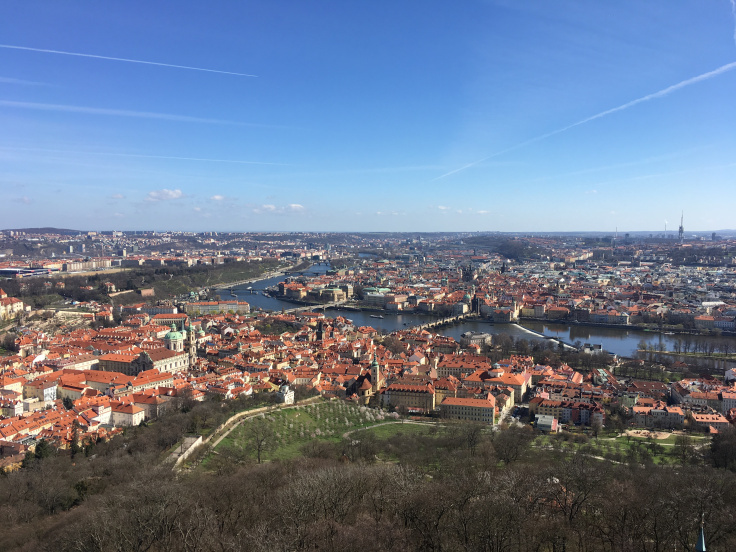 The Prague Castle is exquisite, the lines too long to justify waiting around, so it was perfect to sit and take in the city views from the top of the castle stairs. The Sandemans beer tour - amazing! Tasting Czech's famous lagers both light and dark and learning where beer started, was the best way to spend a Saturday night. Meeting people from India, Georgia, Australia, Argentina, the US and Canada, talking travel, cricket, rugby, Aussie rules (Julian being the only one trying to sell it!) was priceless. Drinking half litres of beer and trying Czech absinthe was an experience worth being hungover for the next day. I bought a three day transport pass and used it 0 times. I walked everywhere. Even in the middle of the night through the side streets of Prague, I walked back to my hostel. Never have I felt so liberated, so confident, so free than I did that night. My biggest learning since travelling? Just because you're a woman solo traveler, doesn't mean you have to be scared. We can be confident and strong no matter the city we are in. Day 3, I fall in love with Prague. The sun is shining, the sky is streaked with faint white patterns of planes flying overhead. I walk through a different part of the neighbourhood, see an old church and a lovely park. I walk across a lonesome bridge and finally understand why everyone says Prague is so beautiful. It's stunning. Walking up Pertin Hill, you walk through gardens. Up winding paths. Overlooking a blissful city. You find peace and you find beauty. You find the serenity of nature. When you come to an Eiffel Tower inspired lookout point overlooking the whole of Prague, you have to climb. It takes me back to when I went up the real Eiffel Tower in Paris and then you see. You see the beauty all over again. From above. You stare. You take it in. You thank yourself for making it possible to be here and you take all the Panoramas!! All of them! As I walk down another part of the park, I stop and I write this blog, overcome by a lot of emotion (not sure if it's because I'm hungover), but I again remember, just how much this adventure has given me. I realise that I will forever continue to explore. On my final day in Prague I went on a day tour to Terezín, a model concentration camp used by the Nazi’s during World War II. That was sobering and hard. Prague, I didn’t love you at first, but it wasn’t your fault. It wasn’t you, it was me. Your areas outside of Old Town Square were beautiful away from the hoards of tourists and where I will spend most of my time if I do come back in the future. I will also ensure I see the ballet or the orchestra when I am next here.